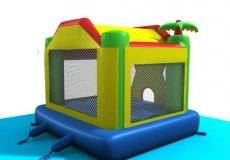 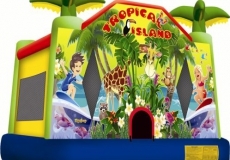 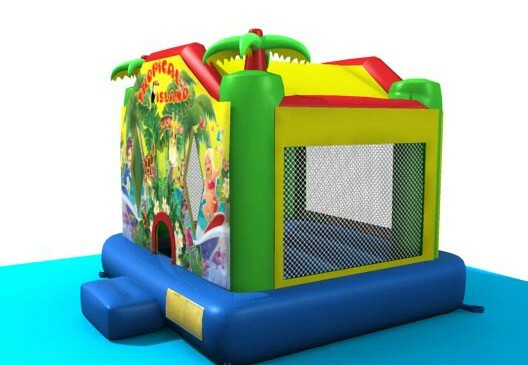 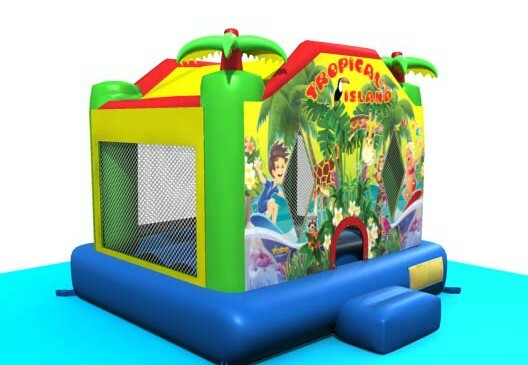 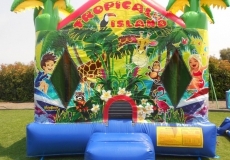 Get tropical with the fantastic Tropical Island Jumping Castle. 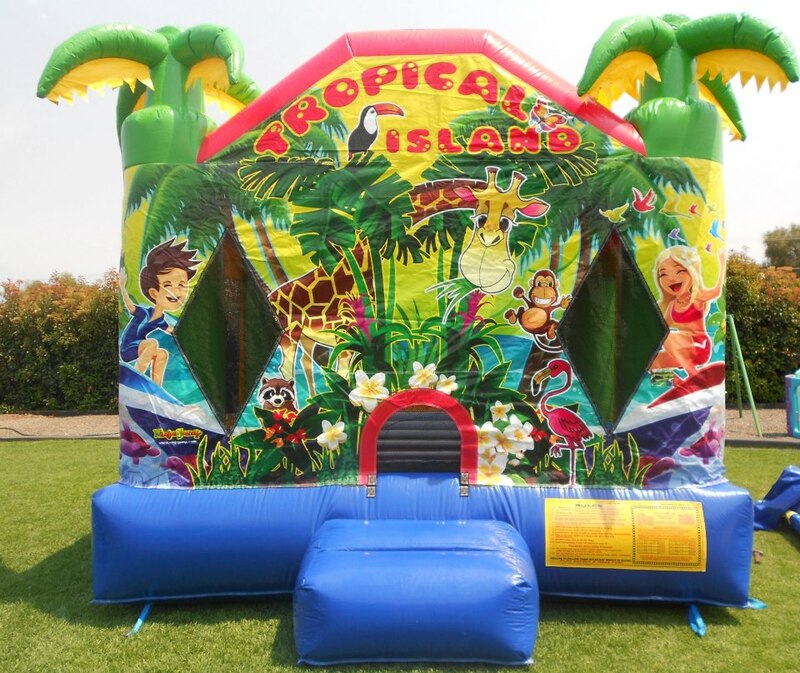 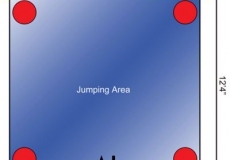 Let the little ones bounce away with giraffes, monkeys, toucans and more! 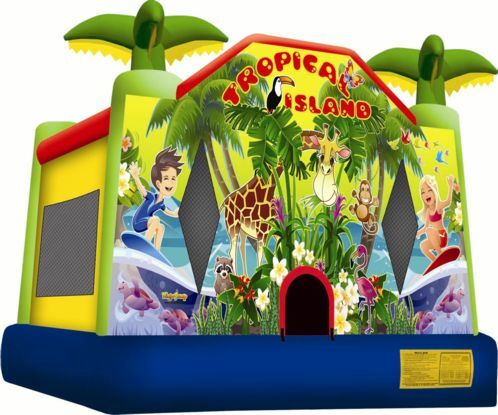 Enjoy this bouncy tropical island on birthdays, community days, or corporate events – what a great way to celebrate the event! 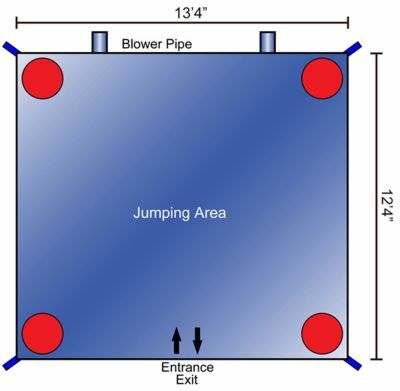 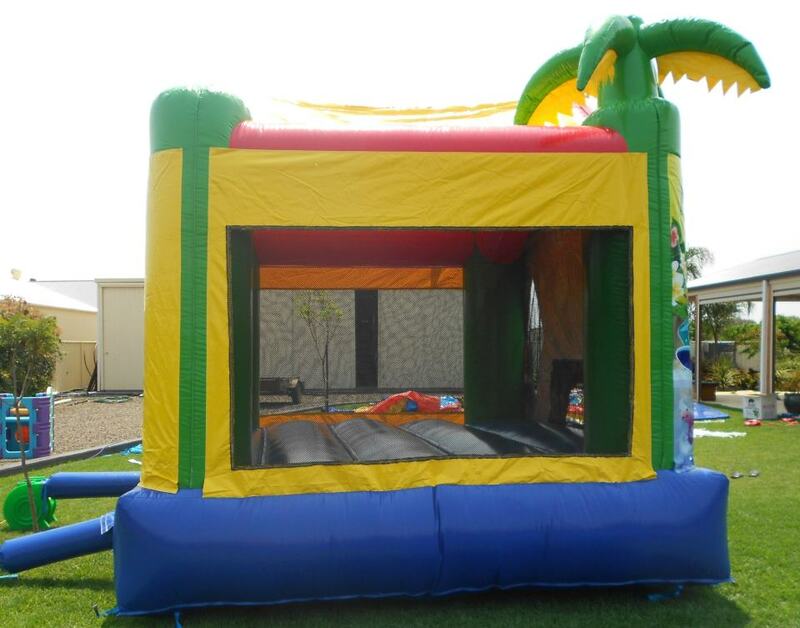 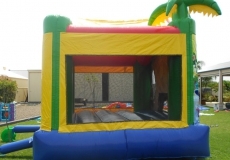 The Tropical Island Jumping Castle has an open jumping area, with bouncy green palm tree pylons in all 4 corners.